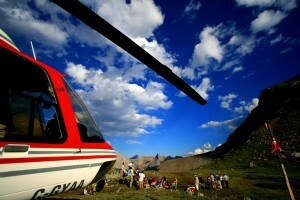 Heli-Hiking - Alpine Helicopter Inc. 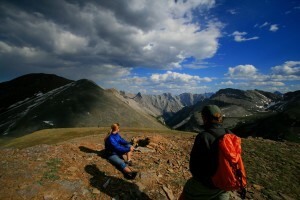 Experience a heli-hike and live one of the best days of hiking you can ever imagine! 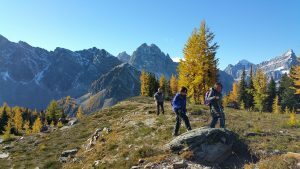 With little effort you’ll be transported by helicopter up through a mountain valley and dropped off onto a high alpine meadow where you’ll have fantastic high alpine hiking, unsurpassed mountain views in all directions… and you’ll be the only people around for miles! 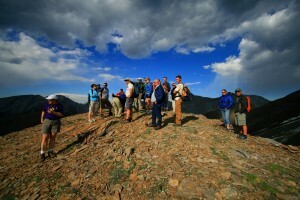 From the drop-off point you can hike over open meadows and ridges with your guide, observe herds of bighorn sheep and summit one of the easy to reach mountain tops or walk up to an ancient native medicine wheel. 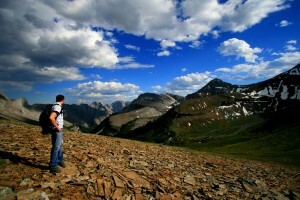 This excursion offers a 6-8 minute scenic helicopter flight to a secluded area high above the Bow River Valley and 2 1/2 to 3 hours of hiking, with the pace and distance covered depending entirely on the ability of the group. Helicopter drop-off and pick-up included. 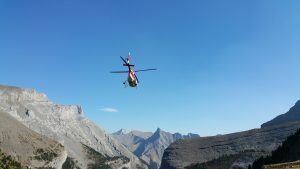 Heli-hiking trips depart from our Canmore heli-port and are offered in conjunction with our partner, White Mountain Adventures. Our season is from late June to the end of September.